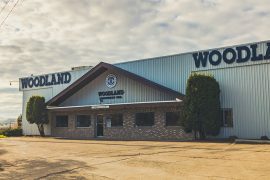 About Woodland – Woodland Equipment Inc.
Woodland Equipment has been serving the equipment needs of the construction and resource industries since 1980. 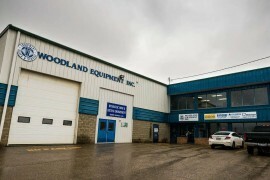 Woodland Equipment Inc. is a privately owned company and one of Western Canada’s leading heavy equipment dealers. 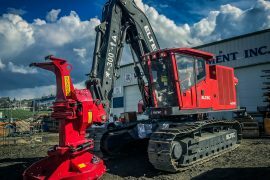 We have been providing exceptional service to the construction and resource industries since 1980, specializing in new and used equipment sales and rentals, parts sales and support, and equipment repairs and maintenance. We also offer assistance with financing for your equipment purchases. We pride ourselves on our customer service and this starts with having the most knowledgeable people in the industry. Our team combines their functional and technical expertise with hands-on experience, ensuring that you receive exceptional service. Our technicians are factory trained and available to serve you in our full service shops or at your work site. Contact us today at one of our convenient locations to discuss your specific equipment needs. 1980 | Opened our first branch in Kamloops, BC on January 15, 1980 and began operations by buying and selling used parts from burnt salvage machines and specializing in marketing skidder parts. 1986 | Opened full service location in Vernon, BC. 1988 | Opened full service location in Prince George, BC. 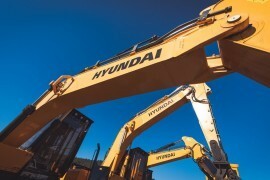 1992 | Became the first dealer in BC for both Hyundai Construction Equipment & Peterson Equipment, marketing excavators, wheel loaders, log loaders, processors, whole tree chippers and recyclers. 2013 | Opened full service location in Fort St. John, BC. 2014 | Opened satellite location in Cranbrook, BC. 2015 | Proudly celebrated our 35 year anniversary. Today, we are proud to be operating throughout the province of BC and innovating to meet the emerging needs of the industry. 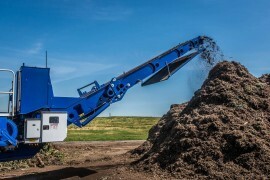 Woodland has added biomass and cogeneration equipment to our product lines, helping the industry meet the economic and environmental demands for renewable fuel sources. Are you looking for a new machine? We deal in new machines through all our carried brands. 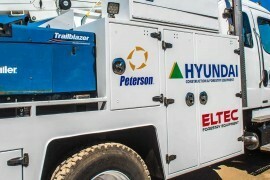 Hyundai, Eltec, Peterson and more, contact our sales team for information on your next addition to your workforce. Are you looking to sell a machine? Here at Woodland we do not buy used equipment outright. However we may be interested in a consignment agreement so feel free to contact one of our sales representatives at the Woodland location closest to you. Need to schedule machine service? To schedule service or repairs withing one of our shops or in the field you can contact the service department nearest you or you can also contact Richard or Harley to get time scheduled. Do you need machine parts? Woodland stocks millions of dollars in parts at various locations in British Columbia. If we don’t have what you need in stock our knowledgeable parts guys will get you what you need ASAP, much of the time, overnight. Check our contact page for our locations or give our Kamloops guys a call.